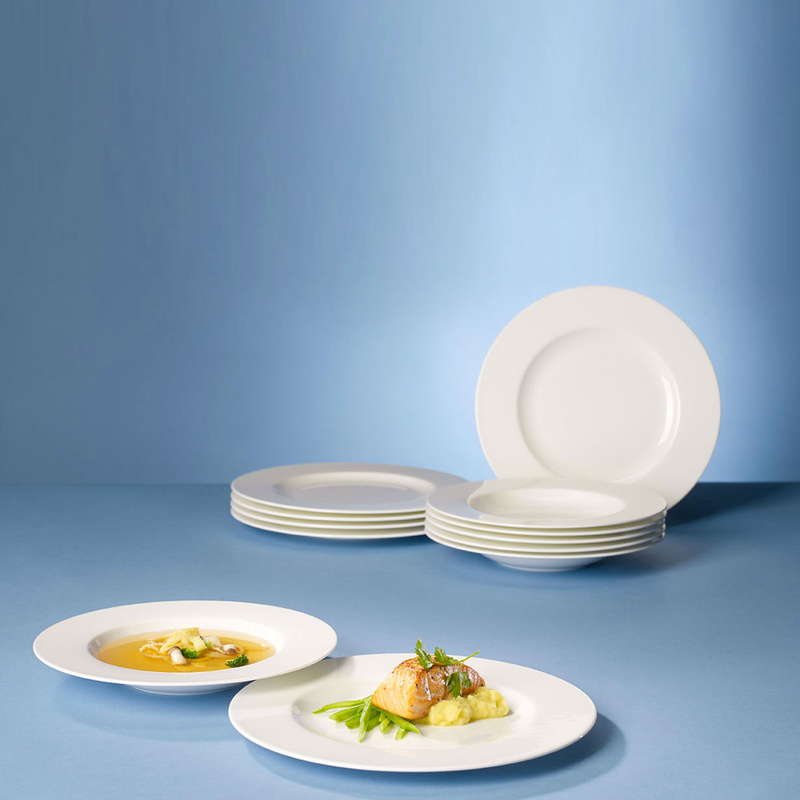 A set of 6 completely white plates, to eat with incredible elegance and royalty. Our kitchen is almost completely white. Each element in the environment has a very clear tint, with a good surface gloss. We definitely want to buy a set of very elegant dishes but do not have too many decorations that could weigh down the overall appearance of the product. What should we choose? Which company do we have to trust to find what we need? Villeroy & Boch, a German company that mainly produces porcelain items, has decided to put this full-bodied set of dinner plates for sale. The set is composed of 6 elements, each one with a good size. The center of each plate has a groove. Near to the edge there are no decorations nor knurls, so that the plate is as simple and clean as possible. The shape is classic, round. The colour is total white, and the surface is very glossy, which allows the product to reflect a huge amount of light. The neutral colour also allows the object to match more or less any kind of crockery, with no worry about unpleasant contrasts. 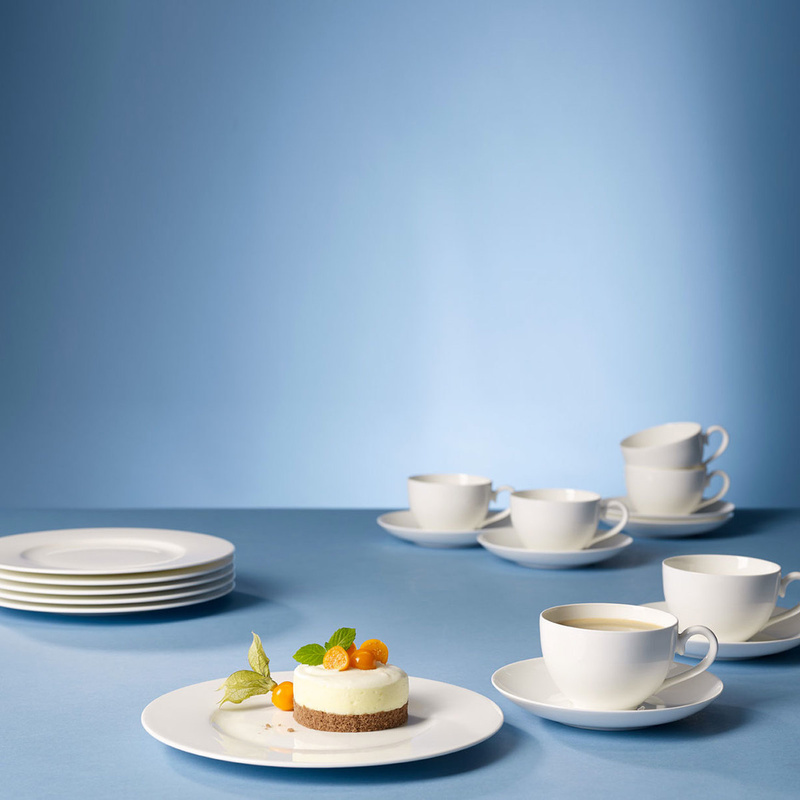 The plates are made of high-quality and resistant porcelain. Nevertheless, the object is still very fragile to shocks and falls, and therefore it is strongly recommended to keep the product out of reach of small children, who may break the plate and swallow the fragments. With regard to the environment, this product is very suitable for spaces with light, neutral tones. 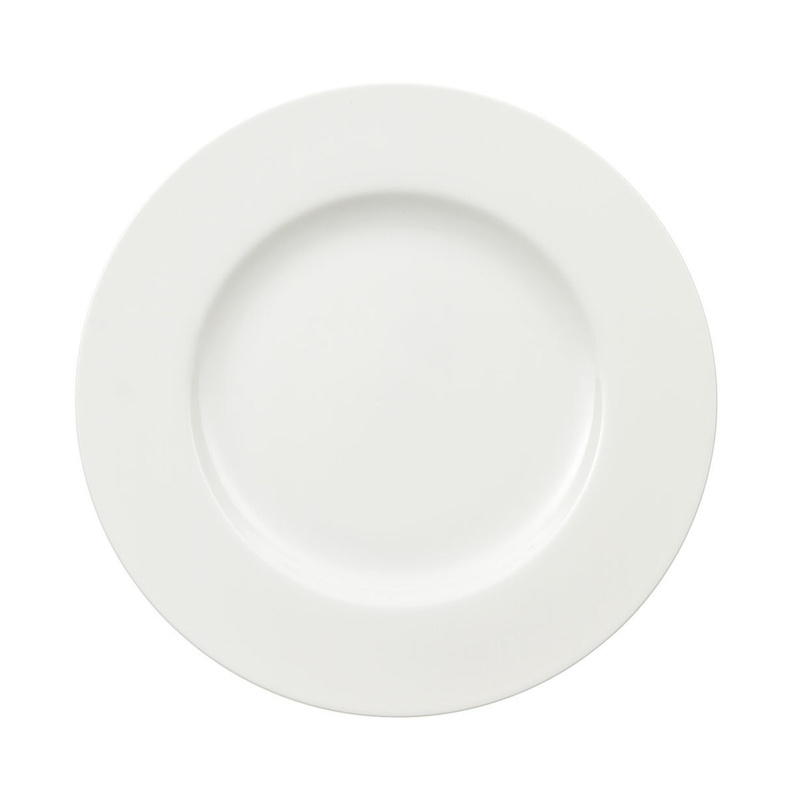 Moreover, given the white and royal colour, this plate is very appropriate in gala or business dinners. So if you are looking for a large set of dishes that is elegant and regal, these total white dishes are perfect for you. Dishwasher and microwave safe.